EDINBURG — As a long-time educator, Emilia Schunior Ramírez was asked in 1954 by Frank Dugan and Dr. Ohland Morton to contribute a chapter for a book on the history of Hidalgo County. The project, however, was never completed. Now, more than 40 years after the first publishing, Robert Ramírez, Emilia’s grandson and Alfonso’s son decided to re-release the book for today’s generations. Sunday he gave a presentation about the book at the Museum of South Texas History during the monthly Speaker Series. 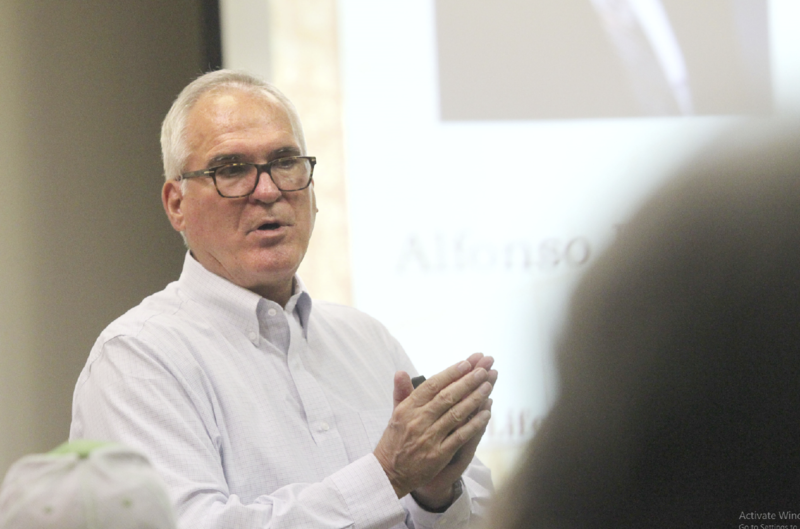 At 68 and a third-generation educator, he spoke about his father, Alfonso. He then delved into important topics from the manuscript, such as their life at home, favorite dishes they would cook including veal, quail, duck, geese, goat, pork and beef, including the veggies – green beans, squash, carrots and green corn, the celebration of holidays and festivities, such as Jan. 6, known as Epiphany. 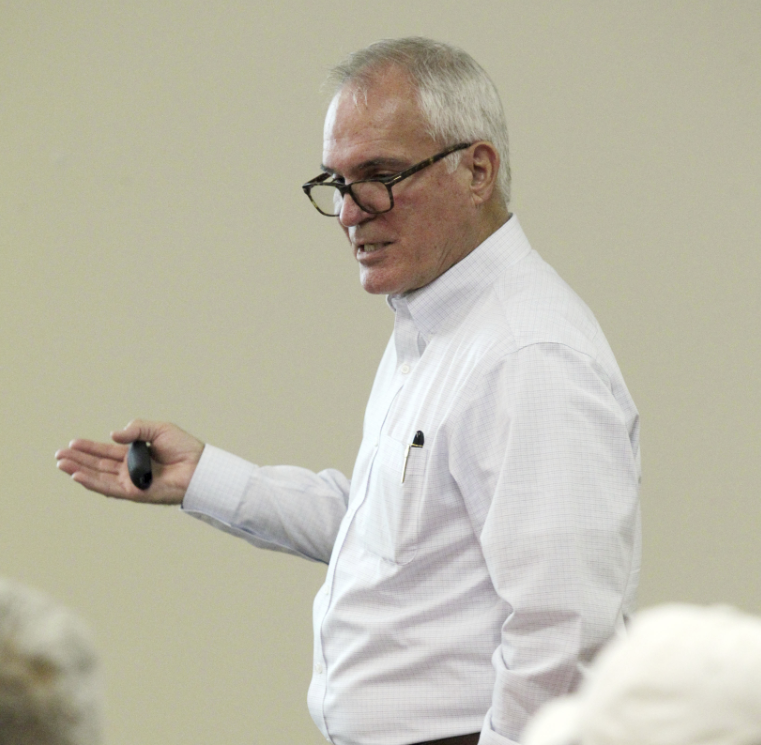 He tied family history through photographs of past generations and the connection of families like the Schuniors and Velas of Edinburg, among others. Schunior Ramírez was a teacher, school administrator and historian. Born in 1902 in Sam Fordyce, Texas, the family moved from Mission to Edinburg when the Mission schools began to segregate Mexican-American children. She was a 1919 graduate of Edinburg High School, attended several universities throughout Texas and eventually received a Bachelor’s degree from the College of Arts and Industries in Kingsville. She then taught throughout the Rio Grande Valley including Roma, Rio Grande City, Edinburg and La Joya from the mid 1930s to the early 1950s. During many of those summers she attended the University of Texas at Austin, where she obtained a master’s degree in education. During her last decade of life, she became a college professor at Pan American College. Months before her death, she took a leave of absence from Pan American and traveled to Mexico, becoming ill with pancreatic cancer. She died at 58 years old in 1960. History is of utmost important part of one’s life, Ramírez said. “It takes people of a certain age to be interested in our history. I lived a good part of my dad’s life completely unaware and just focused on baseball and only later found out that there were things that were accomplished during his lifetime,” the 68-year-old said. 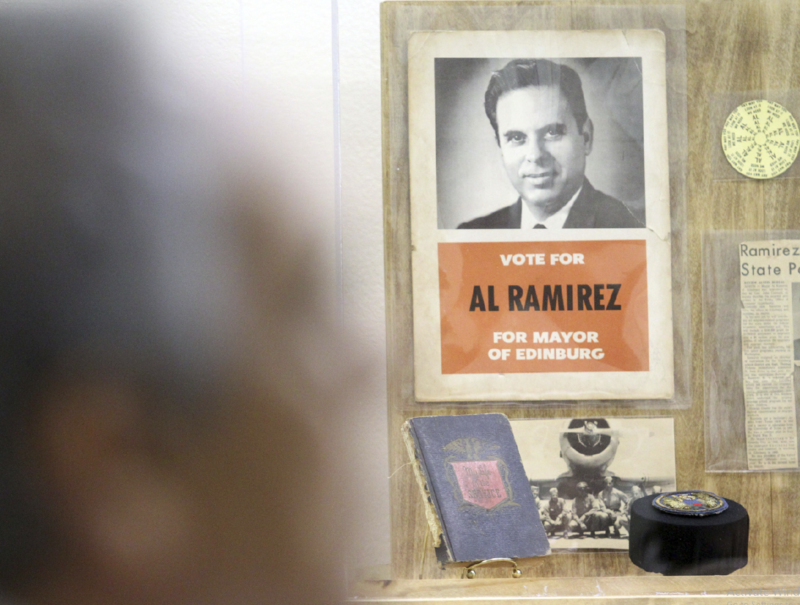 The Al Ramirez collection that was donated to the museum by the Ramírez family was also on hand for the audience to see. For more information, or to view the Ramírez collection or purchase a book, visit the Museum of South Texas History located at 200 N. Closner Blvd. in Edinburg.